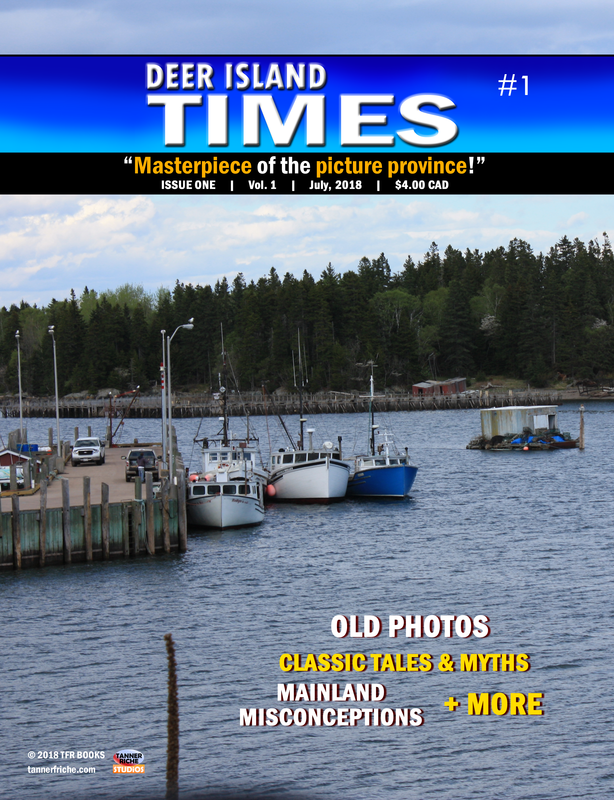 The Deer Island Times will be ending this June, 2019. Our goal is to showcase island life, facts, history, and anything in between. Please see the images below for details. STORIES: No limit, subject to editing. Please stick within our theme/goal. We will respond asking for photos if you have any to give. LETTER TO THE EDITOR: 300 words maximum, subject to editing. Please keep content respectful of others! Open either image in a new tab to view them larger! 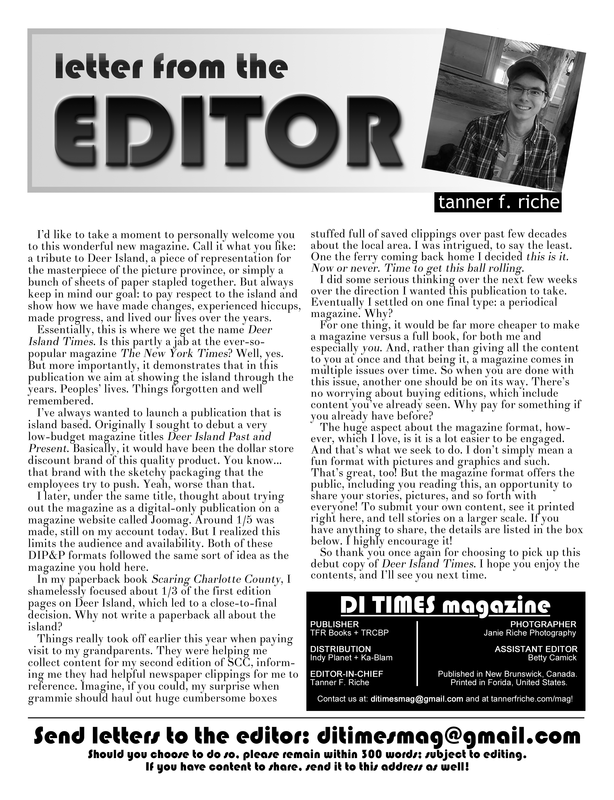 Letter from the editor, issue one, page two. Submit content, questions, letters, and more here! Please provide your name if you are submitting content to print. Please provide an adequate means for response. I agree that DIT can publish my content. I am not submitting content to publish. I would like DIT to credit my name. Only those submitting content should consider this option. ADS: Run for free, text or picture. Simply remain within 50-100 words if text only. STORIES: No limit, subject to editing. LETTER TO THE EDITOR: 300 words maximum, subject to editing. Please keep content respectful of others!